What we have here is a scanned copy of both sides of a postcard depicting the Delaware Water Gap, USA, old enough to feature a biplane. 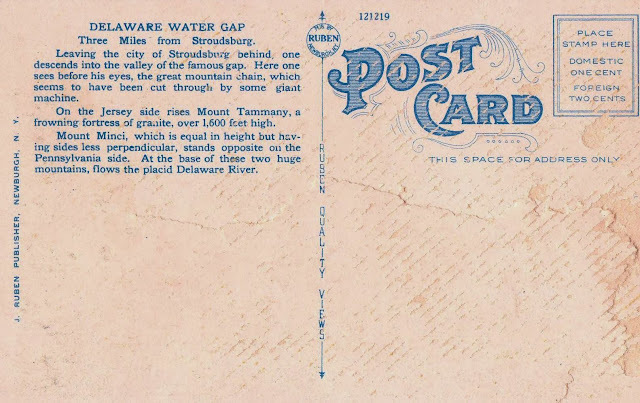 On the reverse: Three Miles from Stroudsburg. Leaving the city of Stroudsburg behind, one descends into the valley of the famous gap. Here one sees before his eyes, the great mountain chain, which seems to have been cut through by some giant machine. On the Jersey side rises Mount Tammany, a frowning fortress of granite, over 1,600 feet high. Mount Minci, which is equal in height but having sides less perpendicular, stands opposite on the Pennsylvania side. 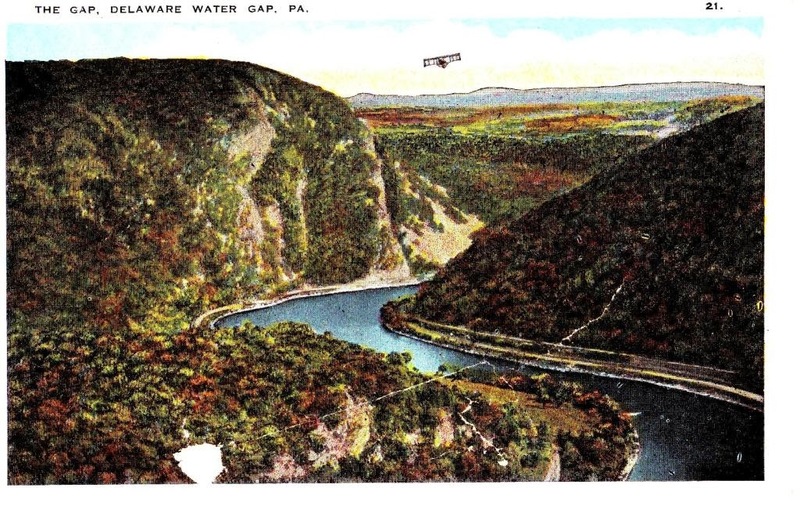 At the base of these two huge mountains, flows the placid Delaware River. J. Ruben Publisher, Newburgh, New York.